The giant mobile brand, Apple raised the curtains from its new ios version, ios 10 on the 13th of September. Tim Cook and Feeder unveiled this new version, ios 10 for the iPhone lovers. 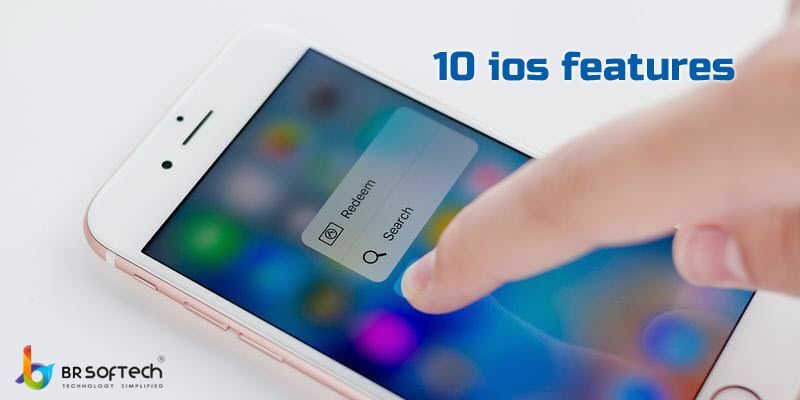 They introduced some of the class features in this recent technological trend, the new ios 10 version which is now available in all the Apple handsets. One of the class updates which expected. As Tim Cook and Craig that the brand new ios can take the mobile app development to the next level. Hire dedicated iphone developer who will guide you in getting the best ios app developed. This is one of the best feature that has been introduced in the ios 10. BY making use of this wonderful technology, all apps are being operated by Siri. User use the Siri technology in which they can use their voice for operating the classy phone, as well as other applications too. This Siri is just like the prevailing voice control functionality. In this recent version, you will be able to use this feature with just any app installed in your iPhone. Siri is one of the best technology even for the third-party apps. Siri also enables the mobile developers to make use of virtual assistant Siri for controlling their own apps. The feature of notification is uite marvelous in various ways. It has added the variety notifications along with Facebook Messenger/Whatsapp and various others. One of the stuning feature included in ios 10 is Face Sorting. This feature of ios 10 inspects all the facial expressions of a person from your saved photos and later on it sorts and imports all the wonderful photos of that person to a particular folder as such. You can also hire iphone app developer India, who will help you in getting the best app for your ios platform as per your requirements and the ideas. Quick Type is yet another classy feature included in the ios 10. This feature suggests the user while they are typing on their smartphone, this helps the user to save time in typing any kind of message. For example, when someone desires to know about your location, then you will directly be able to share your recent location just through a single click. This is the most lovely feature which is included in ios 10 version. It brings forth, the trendy functionality of Apple Smart Watch in the iPhone and iPad. This cool feature flashes your iPhone and takes it directly to the home screen when you lift up your iPhone after placing it somewhere. All you need to do is pick your iPhone and you will directed to the home screen to your notifications list. All you have to do is to see the notification, and you will not be able to miss other notification to see. To check out the widget section, you need to swipe to the right. To head towards the camera, you have to swipe to the left. The Lock Screen will provide you different kinds of information on all the notifications which does means that you do not have to unlock the phone again and again. It will show up all the notifications, even when you are indulged in any work, all you have to do is just tap on the screen to view all the notifications. This is yet another best feature which provide you the suggestions for certain emojis as and when you are typing. And you can also select them to replace some words. For instance, when you just begin typing any word, it will get replaced with emoji directly. These stunning emojis are funky and quite big which will attract you to the core when you use it. The ios 10 version has got an additional new button by which the accessories like lights, thermostats, locks and various other homekit-enabled accessories are added and you can also give command to them for performing different functions which are based on various criteria like the time and the location. This the astonishing feature in the ios 10 version. It is the Speech Framework designed for speech recognition based on the same technology which is included in Siri. In this feature, the user is allowed to process a real-time audio stream right from the microphone, or by the recorded speech in a file through the Speech Framework. The ios 10 version includes the wonderful stickers to the users in the Messages app. These stickers are in the form of animated or the static pictures which supports various formats: PNG, GIF, APNG, JPEG. If you aspire to have wonderful quality, you must opt for using the PNG or APNG format with come limitations. You will be able to enjoy these sticker-packs when you are sending message to your friends and relatives. In ios 10 version, maps perform various quality functions for the user. All you have to do is to slide towards the bottom of the Maps and you will be able to explore various destinations. When you are headed towards doing any work at this time, then your workplace will be on there. Other different location will be received from the calendar appointment from this time. The above listed are the wonderful feature which have enhanced the user experience in iphone lovers. So, do you have the marvelous app idea for ios platform? Feel free to contact us or hire ios developer, who will help you towards developing the we trendy apps for the ios platform which will help you in making your life quite easy. We have the wonderful team of app developers who will guide you to the core.